Our square-type wafer paper has a "small plate" for placing wafer paper and medicine. 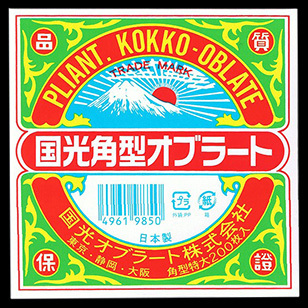 It is easy to wrap medicine. This "small plate" is attached to each square-shaped wafer paper. 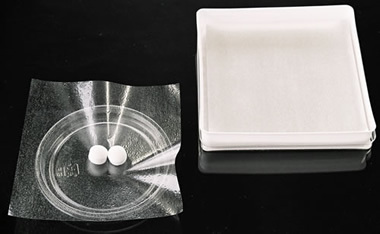 As seen in the photograph, the square wafer paper will become depressed and the edge of wafer paper lifts when medicine is placed on the small plate. It is easy to pick up the wafer paper.